Surf n’ Turf your way into the ultimate dinner spread. Learn how to pull off a chef-like meal at a fraction of the cost. 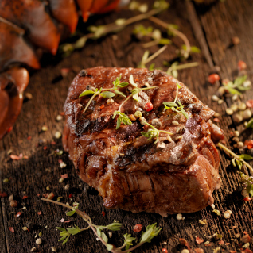 Pick up your steak and lobster today and get cooking! Use our Compound Butter recipes to bring your Steak & Lobster to new heights! Start by splitting the lobster tails in half, lengthwise. Place the cut side up and with scissors or a knife cut along the shell to loosen the tail meat and cartilage. Discard cartilage and move on. Use a 13×9 inch baking disk and add your water and lobster tails in. Take your compound butter and spread over lobster. Drizzle with lemon juice. Leave uncovered, and bake for 20 to 25 minutes or until lobster is firm and color is opaque. Serve with additional lemon wedges and butter (optional). Line a baking sheet with foil, and add a baking rack over the baking sheet. Rub the steaks with compound butter and season with salt and peppercorns. Then place the steaks onto the rack. Grill in the oven for 20 to 30 minutes to your desired cook temperature. 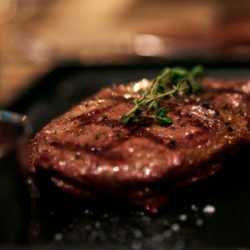 While steak is baking, heat a cast iron skillet (or nonstick) over medium heat with butter or olive oil until hot. Remove steaks from the oven and transfer to skillet. 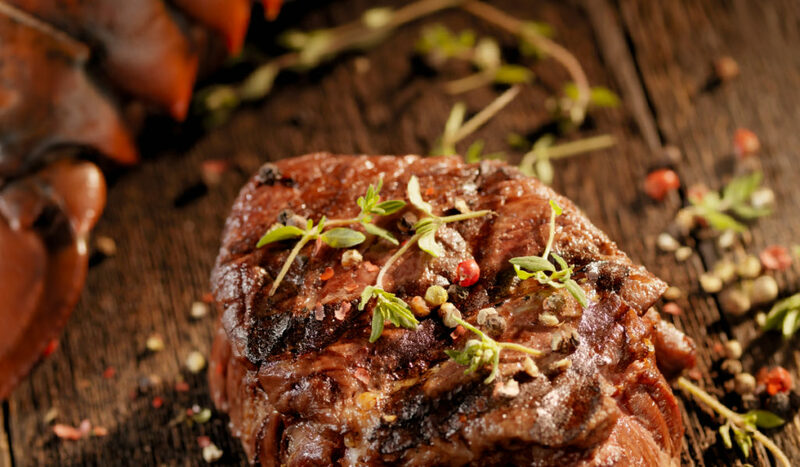 Cook steaks for 2 to 3 minutes per side, depending on thickness, until they are browned or crisp to your liking. Transfer cooked steaks to a cutting board, and let them stand for about 10 minutes before cutting and serving. Combine your lobster and steak on a plate and congratulate yourself on putting together such a divine spread. Enjoy! It’s a Valentines Day Giveaway! Enter to win a $150 wallet credit to pick up everything you need and more for the ultimate at home Valentines Day meal. Treat yourself or your loved ones to a menu catered specifically to you. Avoiding the wait for a table has never been so tempting! Get your chance to win by following our Instagram page, @maceys_store and tagging who you’d like to share this delicious deal with. It’s that easy! Get your chance to win by following our Instagram page, @linsmarketut and tagging who you’d like to share this delicious deal with. It’s that easy! Get your chance to win by following our Instagram page, @freshmarketut and tagging who you’d like to share this delicious deal with. It’s that easy! Get your chance to win by following our Instagram page, @dicks_market and tagging who you’d like to share this delicious deal with. It’s that easy! Get your chance to win by following our Instagram page, @dans_market and tagging who you’d like to share this delicious deal with. It’s that easy!